At Timberwise we provide a range of damp proofing solutions for property owners from cavity drain membranes and tanking systems through to our DriWise injection damp proofing cream. 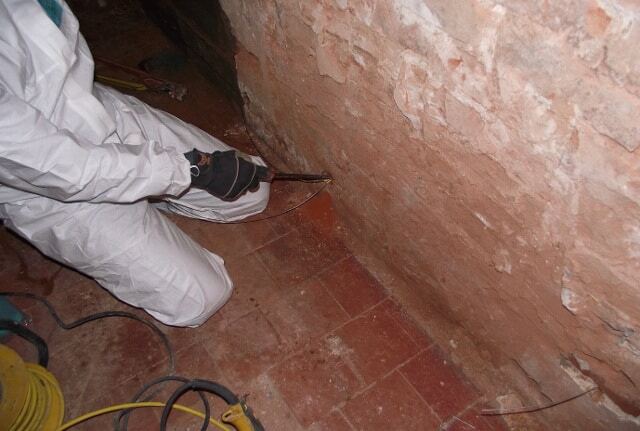 With a range of damp proofing solutions at our disposal we are able to provide the most appropriate method of damp proofing that is best suited to the property. 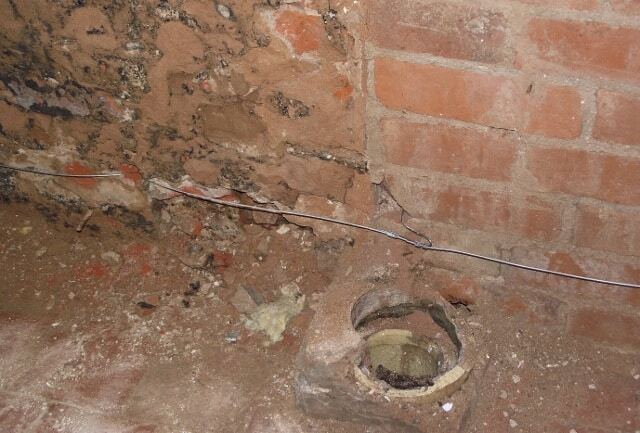 Our damp proofing experts are qualified PCA surveyors giving you peace of mind that they are able to diagnose cause of the damp issue correctly as well as recommend the best remedial solution for the damp. 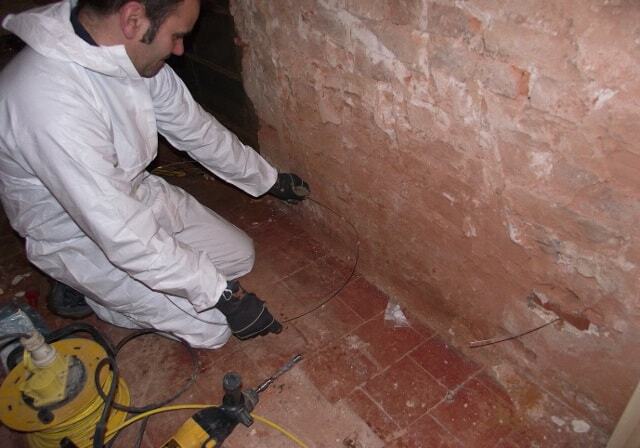 One particular damp proofing method that is popular with older properties is electro osmotic damp proofing. This system is ideal as many period properties were built with thick stone or rubble filled walls, making them difficult to damp proof. 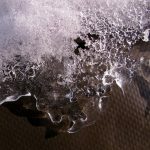 For example, by using a damp proofing cream, it can be difficult to determine what is within the stone wall and the cream being pumped into the wall may go straight into the ground as opposed to forming a waterproof barrier. 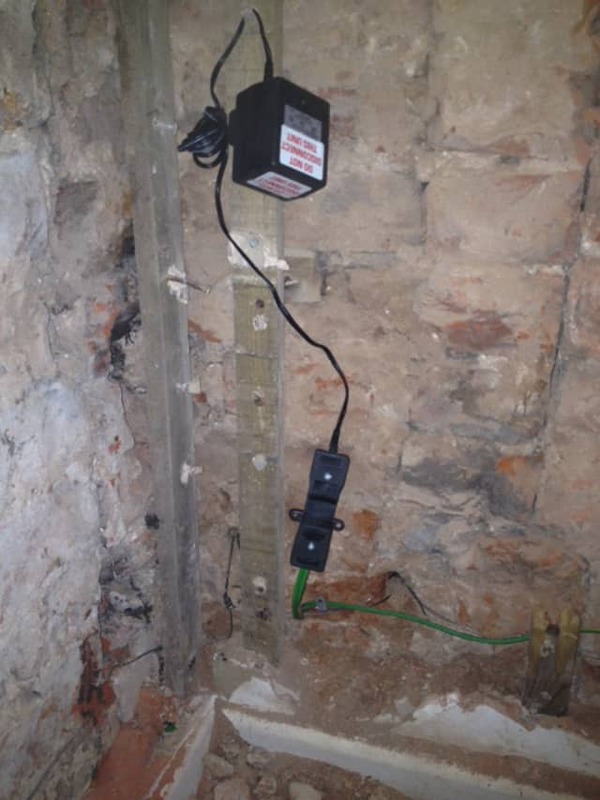 The Timberwise Electro osmotic damp proofing system was the ideal damp proofing system to use for a property our Leicester based damp specialist were called out to. The property was thought to be constructed in the 18th/19th century and was built with thick walls, making it difficult to use an injection damp proofing solution to cover the whole wall. The property had been unoccupied for some time and as a result various types of dampness were prevalent on many walls including penetrating and rising damp as well as condensation. 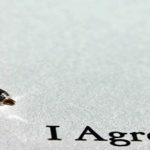 The external inspections of the property had shown no evidence of an original damp proof course and no signs of any form of remedial treatment. 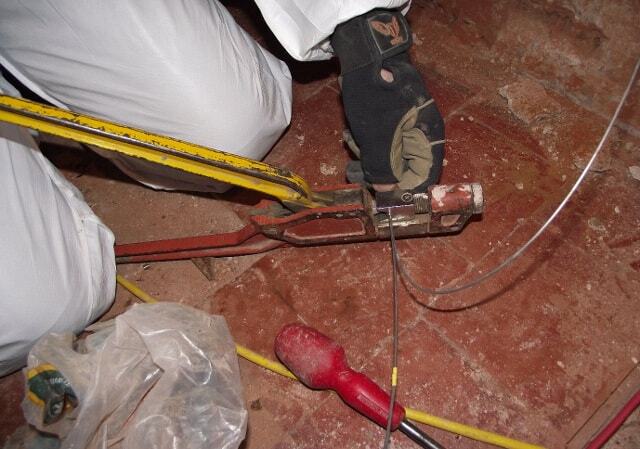 Therefore when the property was surveyed the recommended solution to the rising damp was to install an electro osmotic damp proofing system as well as hacking off the original plaster and re-plaster to remove and migrating salts from the ground. 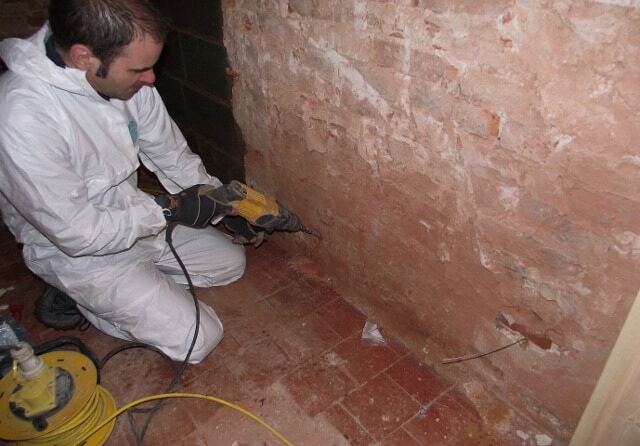 How does osmotic damp proofing work? 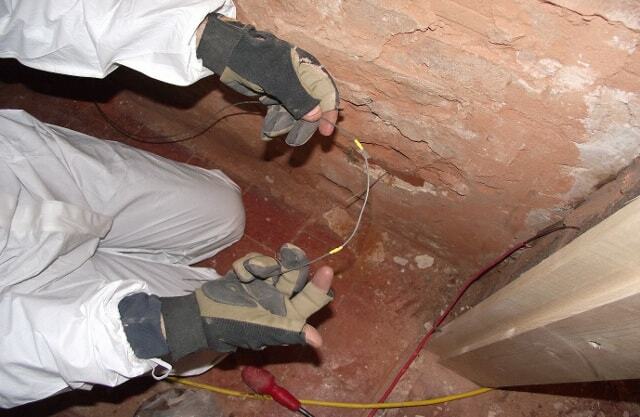 Osmotic damp proofing works on the basis of pushing moisture away from the building by means of electrical osmosis. 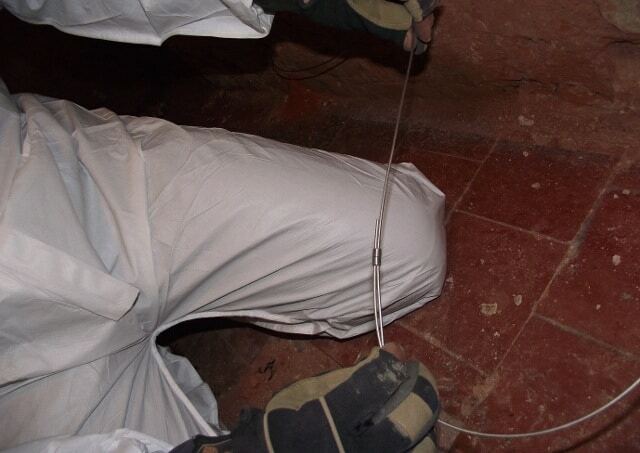 The damp proofing system provides a minor electronic current into the wall structure through a string of titanium anodes that are situated in the wall. To help understand the process involved in installing a system here are a few pictures of our damp proofing team installing the system within the property step by step. 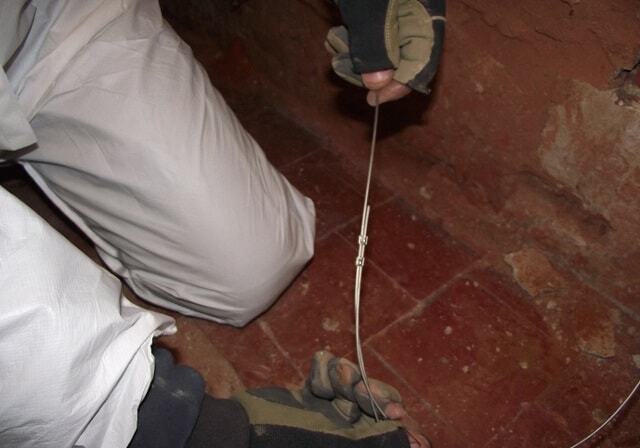 The anodes are then connected using a connecting wire that is then shaped and placed within the drilled holes in the wall. 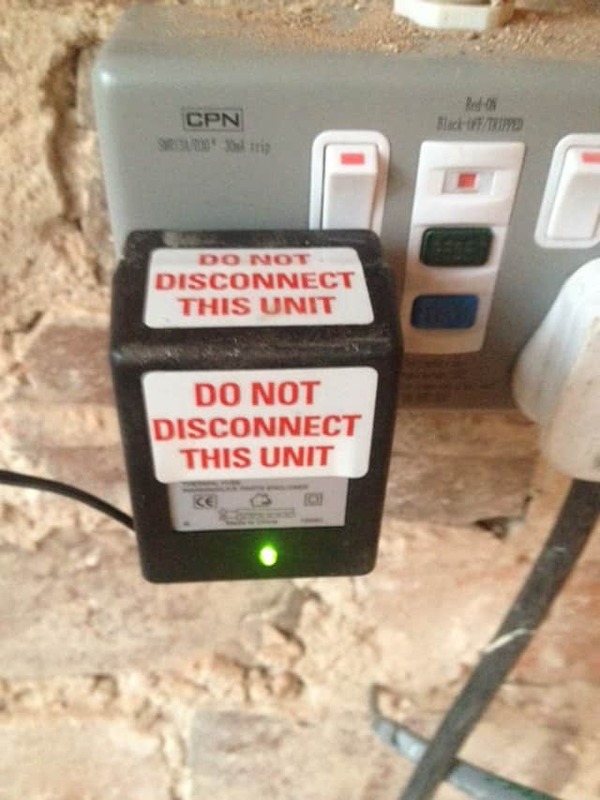 The system is then connected to an earth wire which in turn is connected to an earth rod on the outside of the property. 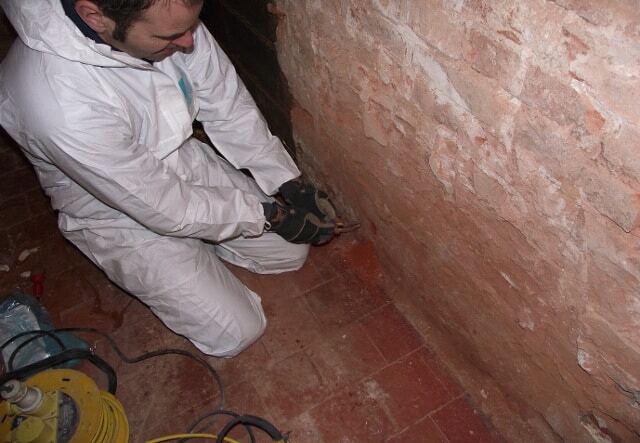 To arrange a survey or for advice on osmotic damp proofing systems call 0800 288 8660. I have a rising damp problem -in an old cottage. Can you help?